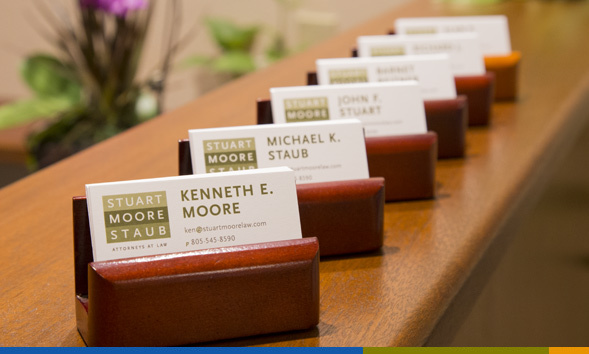 Attorneys at the firm of STUART | MOORE | STAUB believe that to best serve the client’s needs require that we be responsive and focused. Rather than trying to be all things to all people, the firm has specialized over the years in public and privately held corporations, financial institutions, securities, and real estate matters. Their significant business experience and industry knowledge gives the man advantage in dealing with the complexities of todays business realities and an edge in anticipating the market opportunities of tomorrow.